- What is the Cine Filter Crate? 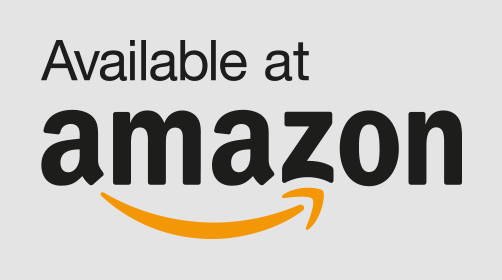 - What models are available? - Where can I buy a Cine Filter Crate? - Examples of what can go in a Cine Filter Crate. - Tell me more about the Cine Filter Crate. What is a Cine Filter Crate? Cine Filter Crate is a nearly indestructible case for 4x5.65" filters that can withstand the rigors of production, is sensibly designed, and is quick to use on set. There are two models and effectively sizes of the Cine Filter Crate. The Mini is a compact case that holds up to 15X 4x5.65" filters with 1 accessory compartment and is super handy for nearly everybody. The Pro is a larger case that holds up to 20X 4x5.65" filters and has 3 accessory compartments that's geared towards longer shoots. Additionally it has support for an optional shoulder strap for easier lugging around. Click on one of the images below to see the full features, size, and weight of each Cine Filter Crate. Where can I buy a Cine Filter Crate? Examples of what can go in a Cine Filter Crate. 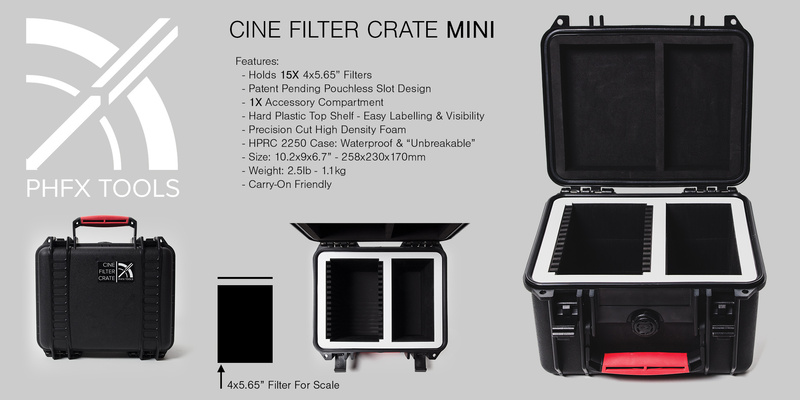 The Cine Filter Crate is designed to help you stay organized on set. The top tray features a convienent hard surface to help label your case inventory. At a 1/2" wide it's a standard for Gaffers Tape and P-Touch Labels. However, in a pinch you can also just simply write on there with a Dry-Erase marker. We made the top tray white so you could quickly look through a filter with decent visibility. The Cine Filter Crate Mini is indeed compact, but can actually hold a pretty decent arsenal of cleaning supplies like the Zeiss Lens Cleaning Kit or a box of Kimtech Wipes turned on it's side. You can even stow a compact matte box like the Bright Tangerine Misfit Atom. There's enough space to toss in that extra flashlight too. 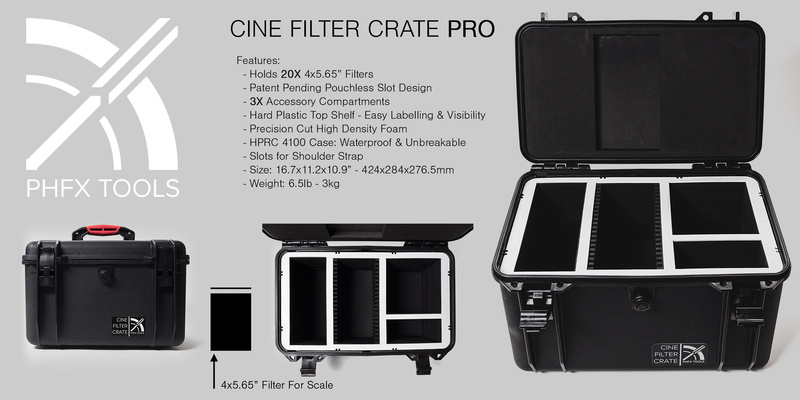 The Cine Filter Crate Pro is a large case with a focus on helping you out on longer gigs. You can hold a healthy amount of cleaning supplies and even a purpose designed compartment that holds 2 packs of Kimtech Wipes, which always come in handy. The other compartments are deeper suited to hold larger things like Rota-Polas and compact matte boxes. Tell me more about the Cine Filter Crate. Filters are a fundamental part of a DP's kit. NDs, Diffusion, Effects, or Optical Flats to protect your lenses. We are using filters all day everyday. We end up purchasing a lot of them over time and they are indeed fragile. These days most quality 4x5.65" filters tend to land in the $200-$700 range and a full kit of a few filters it can represent a significant investment to an owner/operator. This is taken to another level for rental houses that have sometimes hundreds or thousands of filters. A well cared for filter can last the rest of your career and that was much of the inspiration behind the Cine Filter Crate. Soft pouches are nice for travel, but not exactly the sturdiest thing. Most of my filters lived in larger cases and even ATA cases, which aren't exactly lightweight. I wanted something better. Something designed with a bit more of a production and longevity mindset. Over the course of several months I tested a large variety of foam materials, different types of cases, and broke a lot of glass (optical flats, don't worry). I went through several rounds of slot designs focused on secure transport, but also quick filter swaps. The core concept behind the Cine Filter Crate is to have your filters live in the slots without their pouches when on set, so they are quick to access and stow. Additionally they are very easy to keep clean because nothing is rubbing against the majority of the filter's surface. This is also useful if your are using more delicate filters that are not bonded. Beyond holding filters, I  wanted to include a few well thought out accessory compartments to have things like a compact matte box and cleaning supplies within the same kit. I went on a journey to create this case for myself because I'm trying to work leaner and meaner. The R&D led to a solid field case for filters that I'm happy with and have been using now for a few months. If it's working for me, it will likely work for other cinematographers out there as well. Q. How do I clean my Cine Filter Crate? A. If it's wet, make sure you dry it with a blow dryer or sunlight. Once dry, a hand blower or canned air will work great. Q.  I got some marker on the top shelf that doesn't rub off! A. A cloth with rubbing alcohol should do the trick. Q.  I want the shoulder strap for the Cine Filter Crate Pro, which one is it? A. You can use many straps, but the HPRC one is MFR# HPRCTRAC-2. Q. What do you recommend cleaning filters with? A. Hand blower first, if it's just light dust, that usually handles it. If you need to clean further, a Kim Wipe sprayed with Pancro Lens Cleaner, work in a circular motion from the middle out. Q. Where can I find that Zeiss Lens Cleaning Kit? A. They are available from most retailers, but here it is at B&H. Q. Can the Cine Filter Crate work with 4x4" filters? A. Actually yes, you want to use an about 1.5 inch piece of foam in the filter compartment and they have a comfy pillow to jump on.